Little-known by those outside of serious wine circles, and little-visited by foreign tourists, the Priorato (Priorat in Catalan) wine region is a crumpled napkin of peaks and valleys, dotted with medieval villages and quietly producing some of the best wine in Europe. 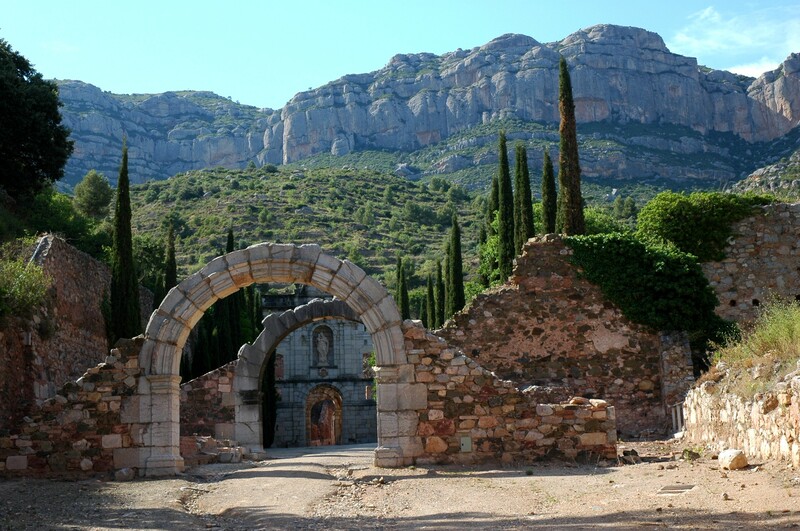 Named for the priory that was established by Carthusian monks in the 12th century, Priorat spent centuries making rustic, high-alcohol wines mostly from Garnacha (Grenache) grapes, most likely brought by the monks themselves, hauling the vines from Provence to this remote and rugged region. 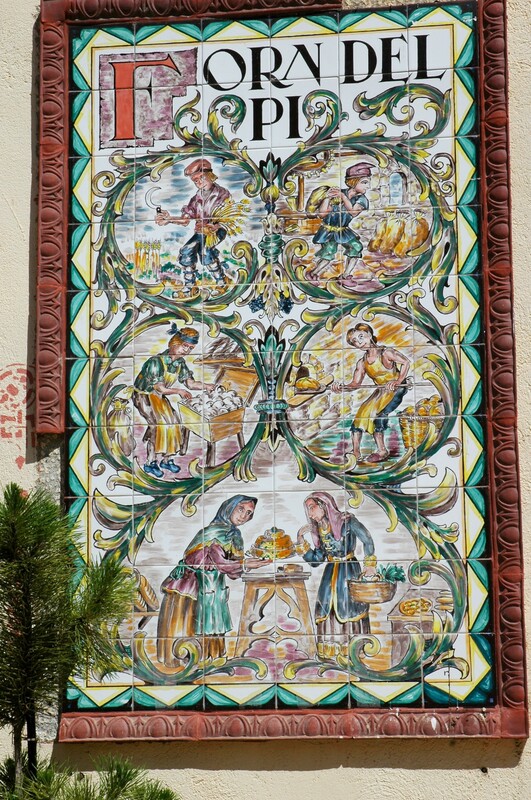 When phyloxera hit in the early 20th century, wiping out most of the region’s vineyards, Priorat was steadily depopulated and remained in a kind of medieval torpor until a small band of young, enthusiastic, and intensely ambitious winemakers set up shop in the hilltop village of Gratallops in the late 1980s. Rene Barbier, Jose Luis Perez, Daphne Glorian, and Alvaro Palacios worked together out of the same barn-like winery, experimenting with different varietals and blends and bottling wines under their own labels. Combining ancient vines of Garnacha and Carignan with more recent plantings of Cabernet Sauvignon, Syrah, and Merlot, these young vintners (only Barbier and Palacios came from wine backgrounds) started producing wines of astonishing complexity and power. Outside Spain’s DO (roughly like France’s AOC or Italy’s DOC) system, these early efforts had to be labeled simple vino de mesa (table wine). Palacios’ L’Ermita is now one of the most sought-after (and, of course, expensive) wines in Spain. If you’d like to taste for yourself, get ready to sell a kidney. The 2010 vintage will run you about $700 US per bottle, but it’s discounted by the case, so you’ll only fork over about $7,950 US for twelve. For our 16th anniversary, my wife and I spent a weekend in Priorat, having engaged the services of a wonderful local guide, Rachel Ritchie. Rachel was fantastic, and knows the region and its people intimately. Our first visit was to the vineyards of Capafons-Osso, where we were shown around by the delightful Francesc Capafons himself, a soft-spoken, grey-haired man of 71 who looks twenty years younger and a bit like a smallish Anthony Quinn. Mr. Capafons’ family has been making wine in the area for five generations, and when, in the late 1960s, he married Montserrat Osso, two historic families, but more importantly several old-growth vineyards, were united. 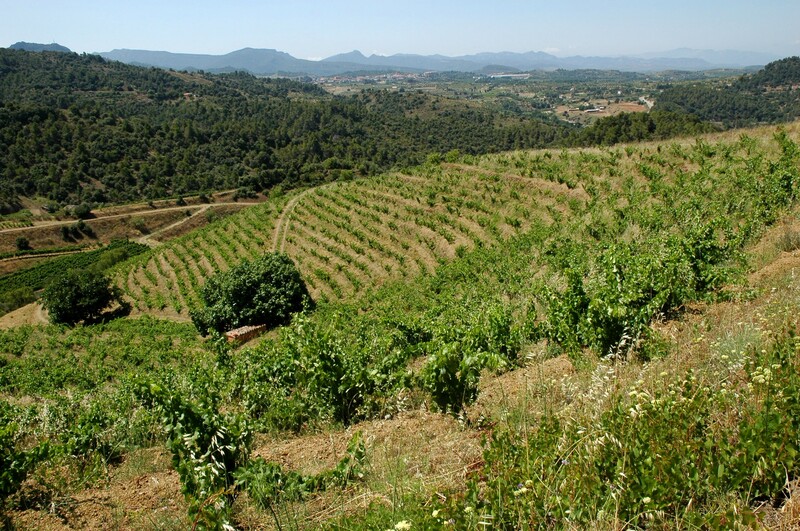 The Priorat region is nearly surrounded by the somewhat less-renowned but still excellent Montsant DO, like the yolk of a fried egg, and Capafons-Osso owns parcels in both DOs. 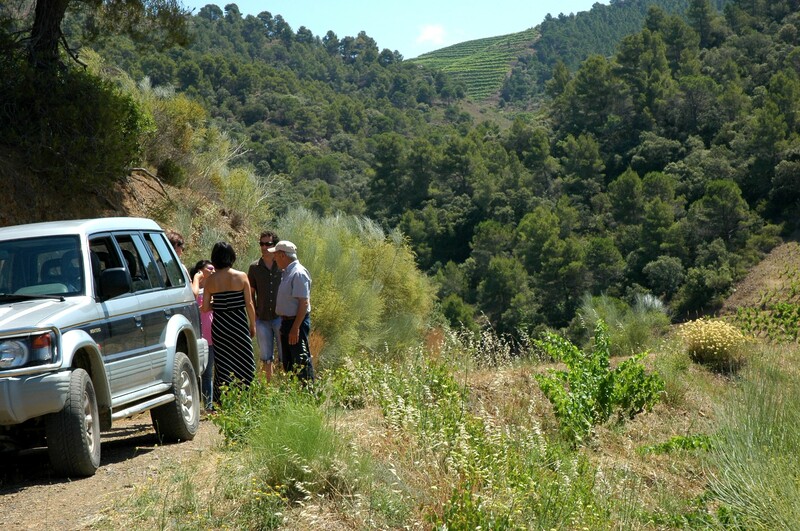 We hop into Mr. Capafons’ 4-wheel-drive vehicle and jounce our way up to his Priorat vineyards, tucked into steep, narrow terraces or angled oddly across precipitous hillsides. If you’re expecting to see Napa-esque rows of carefully-trained vines, you are in for a shock. These don’t exist in Priorat. Mechanization is largely an impossibility in these parts, so plowing is generally the work of horses and donkeys. Speaking of plowing, vineyards must be plowed at least twice a year, in the spring and autumn, right? Mr. Capafons plows every eight years or so. He doesn’t like to disturb the natural structure of the soil. And the soil is one of the primary reasons that Priorat wines are special, what makes Priorat, in the words of wine writer Jancis Robinson, “one of the most obviously terroir-driven wines in the world.” Composed of a cocktail of slate and quartzite, locally called licorella, or licorice, it’s an impoverished soil in a harsh, semi-arid environment, and the grapevines are forced to thrust roots very deeply for a drink, adding mineral intensity to the wine. Vineyards should be treated with herbicides, to cut down on competition, right? The Capafons-Osso winery doesn’t touch the stuff. In fact, Mr. Capafons welcomes the complex community of wild herbs and flowers that inhabit what he calls a “natural laboratory.” He’s long held that plants communicate with each other biochemically, a view that has moved in recent years from the lunatic fringe to mainstream orthodoxy. 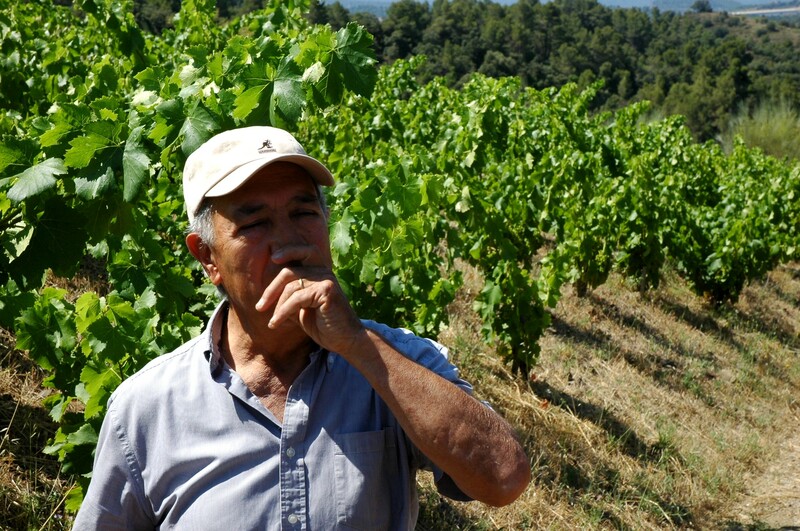 He believes that the heady brew of scents that wafts through his vineyards improves his wines. Having tasted them, I have to agree. At the end of the growing season Mr. Capafons simply cuts back the undergrowth and leaves it where it falls, creating a mulch that both protects against erosion (less of a worry if you don’t plow), and creates natural compost as it decomposes. 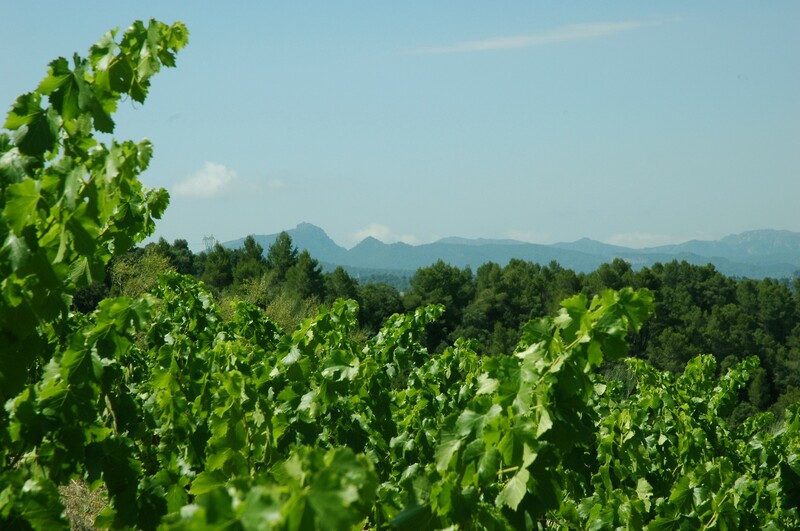 His vineyards, surrounded by forest and relatively undisturbed by human presence, are a kind of agricultural nature reserve. Clouds of butterflies flit among the vines, foxes, rabbits, and wild pigs root and slink through the undergrowth, Bonelli’s eagles and golden eagles loft on the thermals rising from the slopes. Bee eaters and swallows swoop, hawking for insects just above the vines. People keep wanting to call Capafons-Osso wines organic, or even biodynamic (probably more accurate), but Francesc Capafons eschews such labels as marketing tools and an insult to common sense. His approach to wine making seems to him self-evident. “If we don’t take care of the natural environment,” he says, “there will be nothing left to take care of.” For him, saying that we should farm with an eye to protecting the natural world is like saying the sky is blue. Okay, so fair enough, this winemaker has somewhat unorthodox (thought until recently, in fact, on the screwball side of eccentric) ideas about how to grow grapes for wine. But the proof is in the bottle, so what are his wines like? We are taken to his tasting room, a little cottage on the property his wife and he purchased shortly after they were married. Our first taste is Capafons-Osso’s only white, a blend of Viognier and Garnacha Blanca (white Grenache). The nose is pure apricot with floral undertones, and the flavor piles on herbal notes and nicely racy acids with just a hint of residual sweetness. It’s a huge white at 15.5% alcohol, but everything is in balance here, and it’s one of the very few whites you encounter these days that you think would probably still be amazing, or even better, in a decade. Not that what we bought will last that long. While I won’t bother to take you through the tasting, I’ll just say that his reds are rich, opulent, bursting with fruit but with enough backbone to age for quite some time. In fact, most of the reds we tasted were nearly a decade old already, and I think that Capafons-Osso’s wines are only beginning to come into their own when they hit adolescence. Reviewers, such as the Wine Enthusiast, are indeed enthusiastic, and Capafons’ wines regularly receive scores in the 90s. After a visit to the partially-restored ruins of the original Carthusian monastery of Santa Maria d’Escaladei (absolutely worth a visit, particularly in the company of a guide), we made our way to the winery that takes its name from the place. La Conreria d’ Scala Dei (“scala dei” means “ladder of God”) is an iconic winery in the area, and because of our lovely guide we were given VIP treatment, allowed to taste wines straight from the barrels and treated to some outstanding vintages in the tasting room. All of the wines were fantastic, and one of the most interesting points in the evening came when we tasted two Grenaches, both single-vineyard but from different plots, and got to see just what an astounding difference terroir can make. 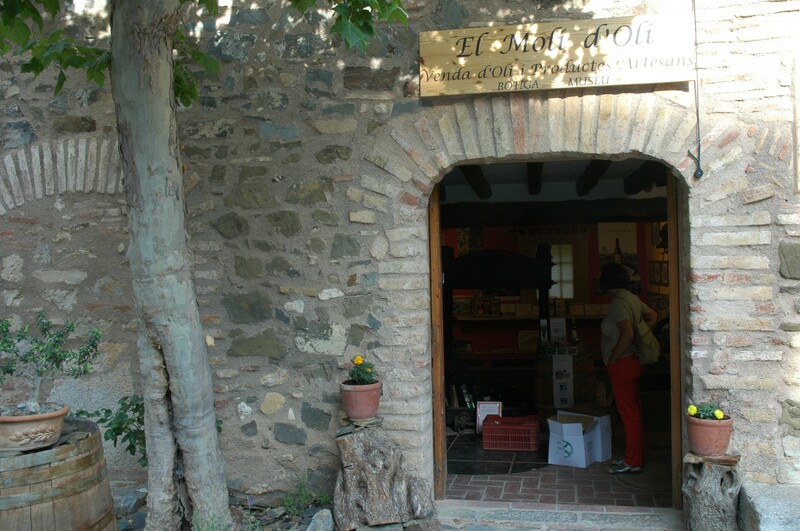 While you’re there, pop into El Moli d’Oli, where the proprietor Neus will make you feel like one of the family as she pours olive oils from her family’s organic groves. They produce oils from several different varieties which they bottle separately, but their magnum opus is CavaLoca, a blend of three different olive types. Exquisite stuff, and Neus is an absolute gem. Well, taste wines, obviously. But the natural setting being what it is – ravishing – you’ll want to get out and explore the area while you’re there. The region has picturesque villages to spare, and excellent hiking and wildlife viewing opportunities. The local tourism website is obviously an excellent place to start for tips and ideas. 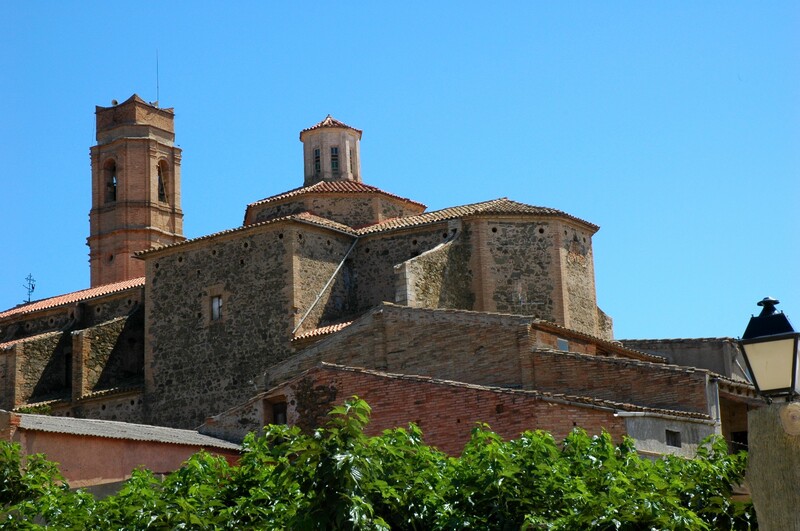 Wander around the village of Gratallops, the home of Priorat’s renaissance, and stop in for tastings at any number of shops and wineries. It won’t take you more than a morning, but it’s a good introduction to the region. The medieval stone village of Siurana, perched on sheer cliffs that jut into the valley of the Siurana River like the prow of an immense ship, is beyond superlative. Every time you think the setting couldn’t get any more striking, it does. If you’re in the area, take the time to visit. Really. Any wine tasting holiday is best done with people who can actually consume the stuff, but there are enough other things to do – particularly hiking and walking – to allow you to drag the little ones along as well. We almost got stuck with ours due to a babysitting snafu, but our guide assured us that if necessary, babysitting could be arranged in the area. Get a guide. For two important reasons: One, if you’re driving you can’t be tasting wine, and that’s kind of the point, isn’t it? Two, intimate local knowledge of the wineries, the wines, the history, and the geology of the area will enhance your visit immensely. We couldn’t have been any happier with our guide Rachel, who enhanced our visit tenfold. 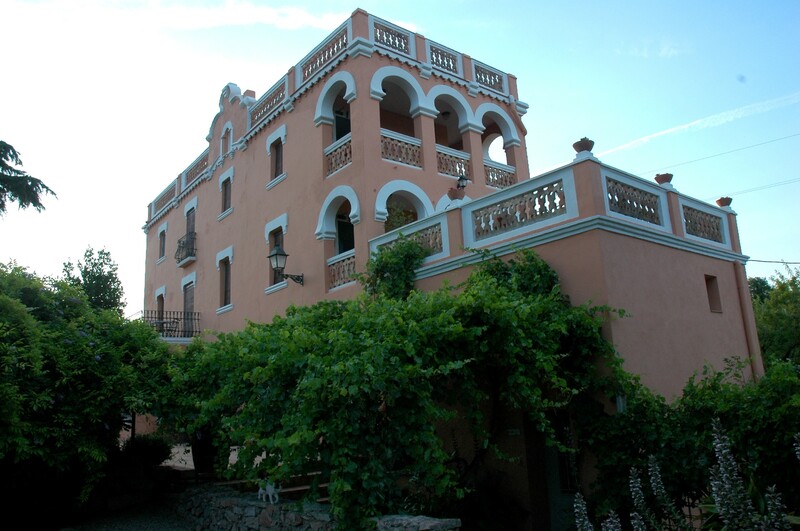 We stayed at Mas Figueres, a charming little inn with lovely gardens and pool in a stunning natural setting. The owners, Paco and Quima, are exceptional hosts, who whipped up a late dinner for us after our winery visits. Very highly recommended. 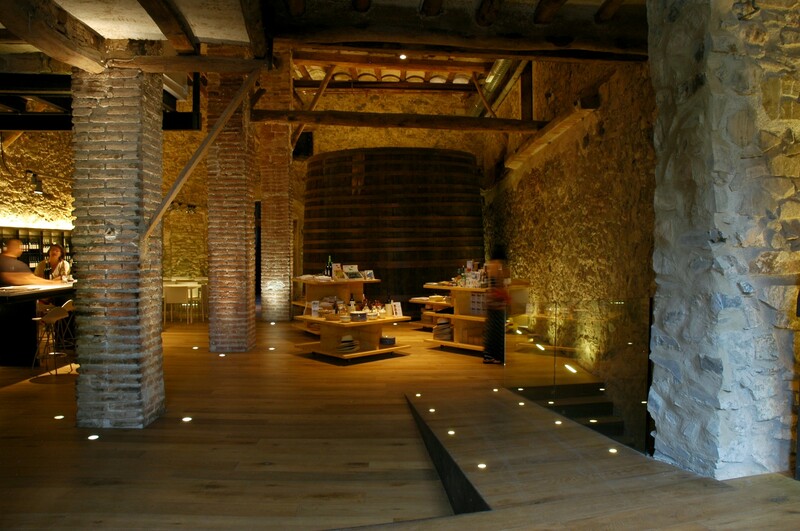 Cal Compte, in the hilltop village of Torroja del Priorat, comes highly recommended. A traditional stone mansion built in 1801, but with sections of the home dating from the 16th and 17th centuries. A place steeped in history. Right in the heart of the village of Gratallops is Cal Llop, a more contemporary-feeling place complete with plasma tvs, but still in a very traditional village. Mas Ardevol is a small retreat tucked away in a little valley, with lovely rooms and a chef/owner who is reputed to make some of the best food in the area. It also has a biological pool and spa treatments. Yes, there are more famous wine regions in the world, but Priorat wines can go toe to toe with the best of them, and toss in ancient stone villages, gorgeous landscapes, and small, family-run wineries owned by lovely, genuine people, and it’s absolutely a place to put on your travel itinerary. Best of all, it’s only a couple of hours from Barcelona, so you could easily make it a part of your visit to the city. 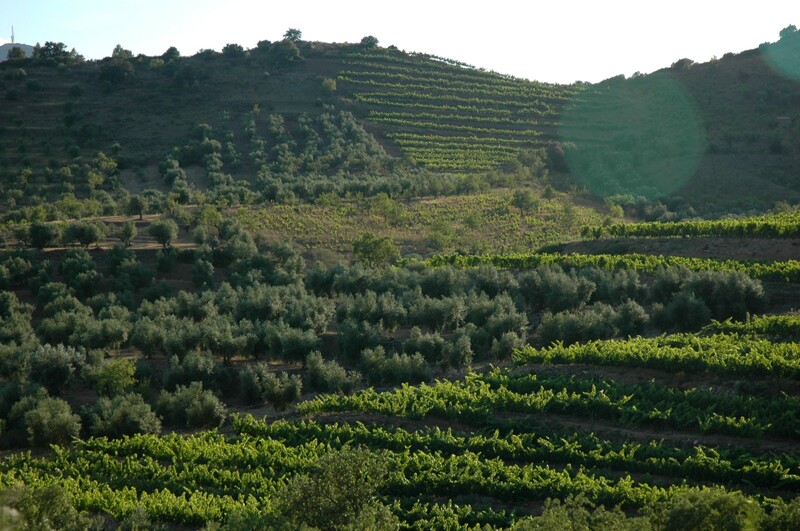 Priorat: Go for the wines, stay for the people, the scenery, the history, the food, the wine, the wine, the wine. thanks so much for this. we are booked with Rachel in September and staying at the Cal-Lop! quick question, we are only staying 1 day in the Priorat region and moving on to 4 days in the rioja region. your post makes me want to increase Gratallops and decrease rioja both by one day. Did you get to the rioja region? thanks again. Well, we haven’t been to Rioja, but after our visit to Priorat is has a bit less appeal than it once did, seeming overly-touristy and industrial-scale. Which, of course, is ridiculous. I’m sure it’s neither, but the intimacy, the wildness, and the sheer character of Priorat make it a very special place. I would say that poaching one day from Rioja to spend an extra one in Priorat would be time well spent. So glad that this post could be of use to you! Thanks for stopping by, and when you’re done with your visit please, please let us know how it went. We’d really love to hear you thoughts about both regions. Cheers! Perfect timing, Matt. We have just begun looking at Portugal and Spain for next summer’s adventure, This region sounds like it should be high on our list. Thanks for the recommendations. Definitely high on the list, David. I’m glad that the post was useful. Cheers!